As far back as I can remember, I’ve had a passion for music. There was always something playing in our house. In my sister’s room you could hear The Beatles, Rolling Stones, or The Monkees. My father would be listening to Gene Krupa, Bennie Goodman or Frank Sinatra in the family room. For me, the blues would be the first audible sounds that I recall. I shared a bedroom with my brother who was an aspiring musician. 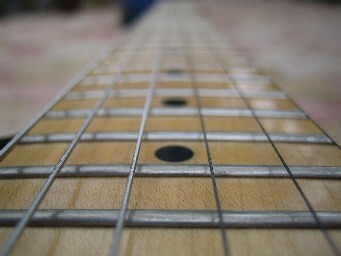 He would continuously practice on his unplugged baby blue Fender all night long, far into the wee hours of the morning. Blistering blues and classic rock guitar licks were embedded into my young mind. And as a result, I developed an appreciation and love for music well beyond my years. All I talked about was music, and my friends thought that was rather strange. Perhaps it was, after-all I was only six years old at the time. My brother, eight years older and an early teen at the time, was in a blues band. He and his friends would rehearse in our basement, often leaving behind some of their equipment for the next get together. I loved hanging out during rehearsals, but what I enjoyed even more (when no one was around) was fooling around with some of the gear. I also liked listening to my brother’s 33 & 1/3rds that were stacked by his Champ Amp. Records like East West from Paul Butterfield, A Hard Road by John Mayall and The Blues Breakers, Truth by The Jeff Beck Group, Wheels of Fire by Cream, and A Man and the Blues by Buddy Guy – just to name a few. Of course, touching the LP’s, or any of the instruments was strictly forbidden. However, I had trouble understanding this notion. One of the songs in my brother’s collection caught my attention. The album was entitled West Side Soul and the song (originally released on Cobra in 1957) was called “All Your Love.” There was something about the tune that struck a chord. was born in Grenada, Mississippi, on February 14, 1937 into a sharecropping household. Even though his family had no musical background, the youthful Sam was intrigued by the sounds he heard playing at local parties and picnics. He would create his own makeshift guitars from cigar boxes, and by the time his family relocated to Chicago in 1950, Sam was already quite proficient playing the guitar. Soon he began to play professionally, first with the gospel group The Morning View Special and then with the popular Homesick James Band. Sam’s tone and finger picking style was an entirely original concept when he premiered it on Eli Toscano’s Cobra label in 1957. The guitarist had been gigging as Good Rocking Sam, but Toscano wanted to change his nickname. Eventually he would become known as Magic Sam; a play on words based on his real last name. His Cobra debut single, “All Your Love,” was an instant local hit. “Everything Gonna Be Alright” and “Easy Baby” borrowed much the same melody but still remained powerful. Cobra achieved local success, but they didn’t find much recognition outside of Chicago, and by 1960 the company closed its doors. After Cobra folded, Magic Sam didn’t follow his label mates Otis Rush and Magic Slim over to Chess. Sam’s life took a different turn as he was drafted into the Army. Several weeks after being drafted, he deserted and returned to Chicago and recorded some tunes for the Chief label. The Army would eventually catch up with Magic Sam and sentenced him to a military prison. Six months later he received a dishonorable discharge in 1961. Returning again to Chicago, he renewed his work with Willie Dixon and recorded a cover of “Hi Heel Sneakers” for CBS and a few selections for Crash Records. Sam grew tired of just releasing singles and wanted to do a full-length album. In 1967 he finally caught the attention of Bob Koester, owner of Delmark Records. Koester was enjoying the success he obtained with Junior Wells’ Hoodoo Man Blues and signed Magic Sam to a contract, giving him the opportunity to do his first album. Magic Sam created two landmark albums for Delmark Records; 1967’s West Side Soul and then Black Magic the following year. Both of these LP’s showcased Sam’s immense talent and will go down as some of the finest blues ever recorded. An awesome talent and major inspiration was lost. West Side Soul is an absolute must own for anyone interested in the blues. Magic Sam knew how to blend all the right ingredients into one tasty soulful package. 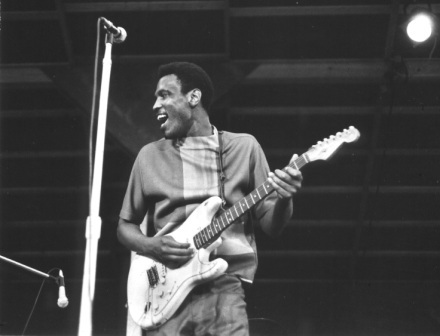 In 1982, Magic Sam was inducted into The Blues Foundation’s Hall of Fame posthumously. In 1984, his album West Side Soul was also inducted into the Blues Hall of Fame as a classic blues recording. Do you have a favorite Magic Sam moment or song you love or remember? If you do, please feel free to comment in the area below. Thanks again for a good review, a combination of autobiographical information as well as solid artist information. For me Chicago Urban Blues is perhaps my first love, it takes me back to my first memories of blues music. The Chess label had such an influence on my music collection too and Magic Sam was just one of those. A great performer, thanks for bring back those early memories too..
A Blues Blogger Fan, Howard. What can I say Magic Sam is a true bluesman, guitar player,and one of my favs. I hitchhiked to Chicago in 1968 for the sole purpose of wanting to hear some blues from masters.It was a hectic time I was 19 years old and from a place with a population of 2500 in Canada.Blues was not common. A friend came home with a blues album it was Lightnin Hopkins and I was hooked.Chicago was heaven for me,Blues everywhere anytime and I discovered Chicago Blues. My education began and I am still being educated.I have returned to Canada and still live in a small place where Blues are still not that common but sites like this are fantastic.Like an oasis of blues. Love all your reviews, I am familiar with 99% of the blues people.I would love to see a thing on Lightnin Hopkins just for old times sake.He was my first introduction to the blues, I have all his albums and covet them dearly. Keep up the awesome tunes. Have a good day! When I was in my teens, I used to come up from Atlanta, Georgia to Chicago to stay with Aunt, who lived on the South side, about 2 blocks from Theresas, a blues bar where I would see Junior Wells, Buddy Guy, and Sammy Lawhorn all the time. 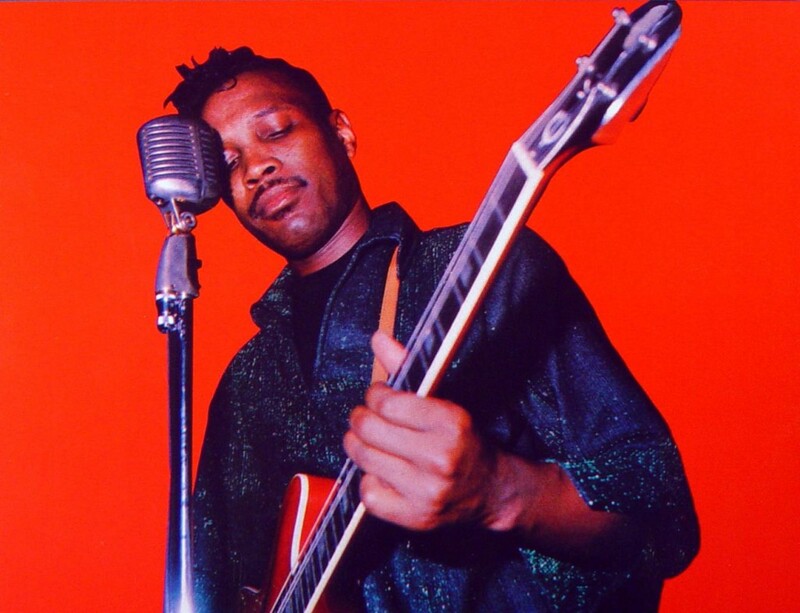 But sometimes I would slip into other blues bars like Sylvia’s and The Checkerboard Lounger and see people like Otis Rush, Magic Sam, Jimmie Dawkins. The crazy thing about him is that, during his show, he also carried on conversations with people in the audience. That’s why I thought all of these guys were just local musicians. I wasn’t until Magic Sam died that I found out how good these guys were. That’s why I’m not impressed with a lot of loud playing rock musicians now. I saw Magic Sam and Buddy Guy play some serious blues every summer. This guy’s distortion reminds me of the song, money for nothing (Dire Straits). Never heard of Magic Sam before, but i’m really impressed now… Thx for the post. I hit this website and started playing Magic Sam and my husband and a couple of kids came over to the computer to listen. None of us had ever heard of him before, but you sure did a good job of resurrecting him. Especially with your very personal notes to go along with it. Thanks, this one was great. So that’s where that style of R&R comes from! I’ve heard that riff over and over in a lot of more modern songs. Not only did he have amazing guitar skills, but his voice sounds like the voice of an angel. He could have been great singing any kind of music. Thanks for enlightening to one of the all-time greats. Some of the best music ever. BB your memories are great for us. Thanks. I listened to the “West Side Soul” album for the first time in my life when I was 14 years old… since, Magic Sam’s music became a part of me and my music education… really great songs! …. it’s for the first time I visited your blog… very and very impressive…. thanks!